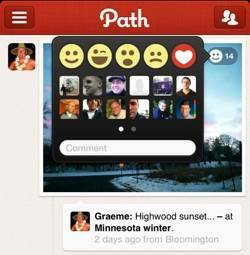 If you’ve used the mobile social network Path recently, it’s likely that you enjoyed the experience. Path has a sophisticated design, yet it’s easy to use. It sports an attractive red color scheme and the navigation is smooth as silk. It’s a social app and finding friends is easy thanks to Path’s suggestions and its connection to Facebook. In short, Path has a great user experience. That isn’t the deciding factor on whether a tech product takes off. Ultimately it comes down to how many people use it and that’s particularly important for a social app like Path. Indeed it’s where Path may yet fail, but the point is they have given themselves a chance by creating a great user experience. In this post, we outline 5 signs that the tech product or app you’re using has a great UX – and therefore has a shot at being the Next Big Thing. A great user experience isn’t just about the user interface, but it helps a lot. While I’m not a regular Path user, today I opened it up and browsed for a bit. To like an item on Path, you click a little smiley icon in the top right. If you really, really like an item, you can make it a heart icon. There are three other options: a winky face, a surprised face and a sad face. So Path has cleverly created 5 different types of ‘like’ using subtle but obvious icons. This is something that Facebook hasn’t yet cracked; it only has one style of ‘like’ and many people have argued for a ‘dislike’ option, at the very least. A nice design is one thing, but you also need to see value in it. It must either solve a problem for you, or be a pleasurable distraction. Time and time again. In other words, it must be addictive. One of the current trendy services on the Web is Pinterest, an online pinboard that has become an addiction for many. In a text-heavy social Web, Pinterest has nailed the concept of a completely visual user experience. It solves a problem, because it gives you a place to store images around topics – such as the very popular wedding dresses section. It brings you back every day, if you get hooked. The Kindle Fire as a product is not as aesthetically pleasing as the iPad 2. The Fire is rectangular and small, looking a bit like the iPad’s runty little brother. But what the Kindle Fire does better than the iPad is get the user started – and hooked – straight out of the box. 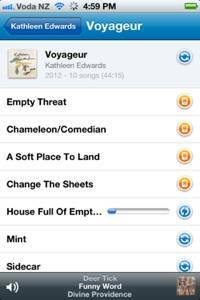 With the iPad, you need to connect to iTunes or manually set up your account to get things started, which can often be a time consuming and awkward experience for newbies. But if you buy the Kindle Fire from Amazon, it comes pre-loaded with your Amazon profile. This enables most users to start downloading content as soon as they switch the device on for the first time. Note that the rest of the Kindle Fire’s user experience is not always pleasurable. But the start up is one part that is. With so many Internet-connected devices and screens nowadays, it’s important to have a consistent experience. One recent example of this for me is the online music app Rdio. It only just became available in my country, but I was immediately impressed by the consistent user interface between Rdio’s iPhone app and the desktop app on my computer. Rdio takes that seamlessness a step further though, in allowing you to download whole albums onto your mobile device so that you can listen to them offline. It would’ve been easy for Rdio to get that functionality wrong, for example by enabling download on 3G and giving you a huge cellphone bill. But by default, Rdio only downloads songs onto your mobile phone using WiFi (you can turn on 3G download if you think you can afford it). It’s the little details like that which make a great user experience. Arguably the most outstanding tech products are ones that revolutionize the way we do things. The iPhone and iPad are two high profile examples from recent years. Twitter is another. These are products that create a brand new user experience, or change old habits in a good way. Having an overall great user experience is difficult to pull off. Some of the products mentioned above only get part of it right, for example Kindle Fire and Path. I even said that the iPad, an otherwise glorious product, is slightly disappointing in the start up. What products or apps have given you a great user experience recently? 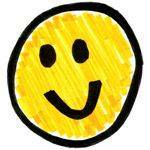 We’d love to hear about what’s making you happy.